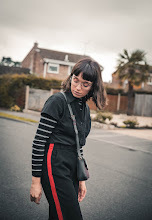 If there is one thing that I have had my eye on owning since the 70s trend first graced the high street and fashion world, is a pair of flared trousers. There is something so flattering about their high waisted flared aesthetic, as well as their killer prints that my inner "Woodstock-hippy" fell for. When it comes to trousers I can be fussy about the style, length, colour and fit. So when I came across these daisy printed ones in the asos sale, I simply couldn't resist picking up a pair. They are seriously comfy, almost (if I dare say) 'pyjama level' comfy, but unlike pyjamas make you look like you've made 100% more effort than you actually have. 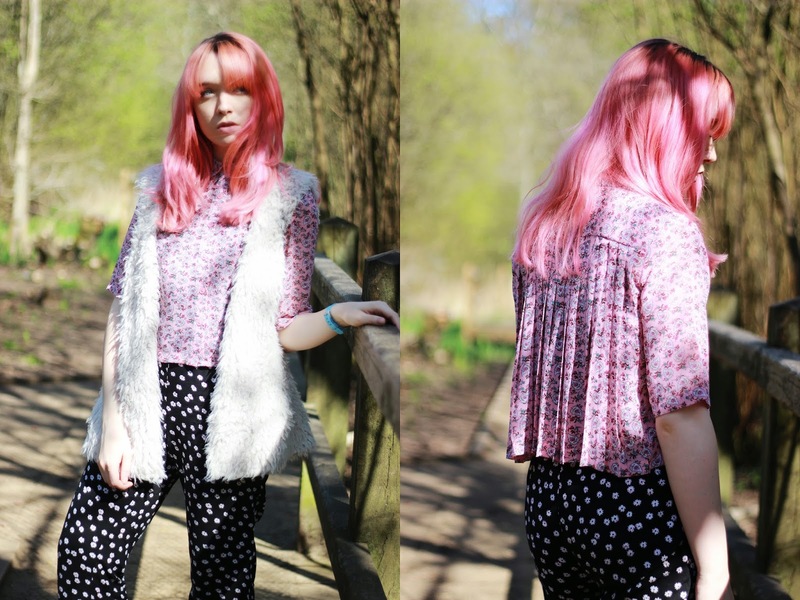 With the 70s in mind for this outfit I decided to opt for this pattern clashing top, from ARK, which is a gorgeous paisley print and has this amazing pleated back. Plus it is pink, which makes it even more appealing for one pink obsessed blogger.